Orrefors Vicke Lindstrand Stella Polaris Ice Blue Glass Vase. The pale blue glass with six lobbed body. Inscribed Offerors VL (W) 225T-3. Measures 4 3/4" high, 5" diameter approx. 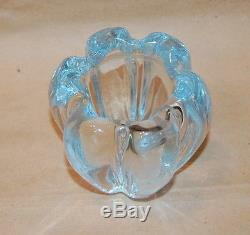 The item "Orrefors Vicke Lindstrand Stella Polaris Ice Blue Glass Vase" is in sale since Tuesday, March 19, 2013. 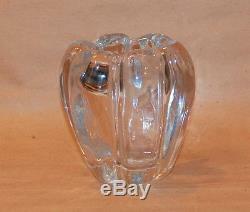 This item is in the category "Pottery & Glass\Glass\Art Glass\Scandinavian\Orrefors".